Since 2001, Robert A. Parker Insurance & Financial Services has sponsored the Late Model #81 driven by Millville resident R.J. Marcotte at Thompson International Speedway. The Thompson International Speedway offers unique Northeast racing on a 5/8th's mile oval with 26 degree banking and is considered the Super Speedway of the Northeast. This premiere NASCAR race facility has been the proving grounds for many nationally known drivers. 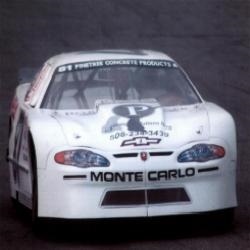 Geoffrey, Brett and Todd Bodine, Steve Park, Jimmy Spencer, Ron and Ken Bouchard, Mike McLaughlin, Randy LaJoie and the Fuller brothers - Jeff and Rick - have all competed successfully at Thompson. Many have even moved on to major Winston/Nextel Cup Racing competition. 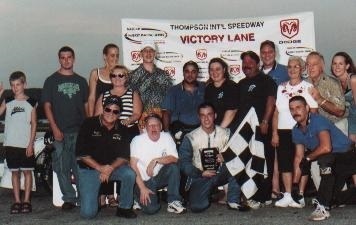 Recently, Ted Christopher secured the National NASCAR Weekly Racing Series title competing at Thompson International Speedway during the 2001 racing season. Today, this grand lady still is the crown jewel in short track racing. Thompson International Speedway hosts several major events each year and also provides a wonderful family atmosphere that is still reasonable. We look forward to seeing you at the track. Our extended racing family sits every week in Turn One right before the pit gate entrance!